In 1950s Moscow, model communist Katya secretly spies for the Americans in the Cold War arms race. When she lands her biggest assignment, stealing secrets from rising government star Alexander, the last thing she expects is to fall in love with him. Reconciling her beliefs with her love for Alexander means a choice – between continuing her secretive work or continuing under threat of blackmail. But Katya’s determination to live honestly with her husband comes too late – for he has unknowingly alerted the government to a leak, putting them both in danger of capture and death. Decades later in the United States, Alexander has built a successful business empire. A kind, passionate man, he has managed to bury the tragic memories of his early life in Soviet Russia with his charismatic late wife, Katya. But into his life come two women. One begins to open up the heart he has kept protected for so long. The other, his niece Lauren, is determined to uncover the truth about what really happened to Katya all those years ago. The story’s journey back to 1950s Moscow takes us into a world of true love lost, and of friendships betrayed. For only by confronting the past can Alexander move on to his future. Firstly, Despite The Falling Snow isn't my usual type of read. I usually reach for YA and contemporary fluffy romance stories, but something about this book just sparkled and since I've started reading more Historical novels, I thought it would be a perfect twist in my reading patterns. We're in 1950's Moscow and I can picture the sight with the gentle and fitting way Shamim describes it. Model communist Katya, one of the main fixtures of the novel, spies for America during the Cold War arms race. She's a bold, lively character who stood out the most. She's intriguing and interesting, but complex at the same time which made her story all the more believable. Soon enough, she gets a big task that will ask a lot of her. She must steal secrets from ascending government stand-out; Alexander. But then she falls in love with him, for real, and things are no longer clean-cut. She's faced with a choice between continuing her work and abandoning it with the risks and threats that came with it. Even death. Flash-forward many years into the future and in Boston, Alexander has built himself to be the charismatic, business-minded founder of a huge empire. He's managed to stray from his memories of Soviet Russia with Katya, but he hasn't strayed from a complex life. Into it comes his niece and another woman, one who begins to mend the heart that is still tainted by the image of Katya and pained by his past. 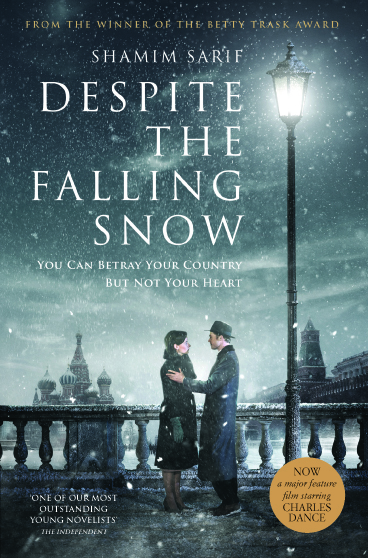 Despite The Falling Snow is a story about love lost, about tragedy and overcoming the flames that poured down on Alexander's past. There's a hint of mystery, swirled with romance and politics and the emotional ties that bind the characters in the past, present and future. I was pulled into the novel easily and it seemed so effortless that the novel seemed so real. Overall, Despite The Falling Snow is a brilliantly written novel with striking characters and believable, refreshing backdrop. I can see just how amazing this will be as a movie (coming soon!) and just how picturesque and compelling it will be on the big screen. 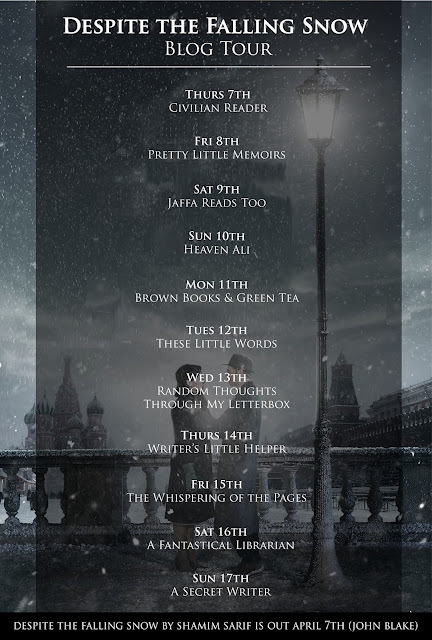 Fans of Adult Contemporary fiction, Historical and Romance. Don't forget: UK FILM RELEASE 15th APRIL! Shamim Sarif is an award winning novelist, screenwriter and film director. Her first novel The World Unseen won both the Pendleton May First Novel Award and Betty Trask Award. Shamim adapted the book for film herself, both writing the screenplay and directing the film, alongside her partner Hanan who produced the film which went on to win 23 awards internationally. Her second novel I Can’t Think Straight was also made into a film by Shamim winning 11 awards. In 2016 Altitude Films will release Despite The Falling Snow as a major motion picture staring Charles Dance (Game of Thrones) and Rebecca Ferguson (Mission Impossible) with title song by Ella Henderson and score by Oscar winning composer Rachel Portman (Emma, Chocolate). 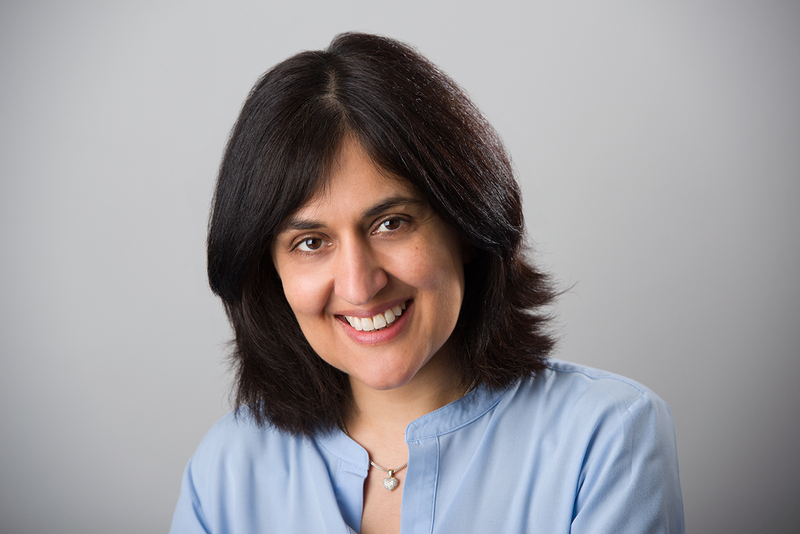 Shamim has spoken at TED events in London, Jerusalem and India. In 2008, Shamim received the AfterEllen Visibility Award as International Lesbian/Bi Woman of the Year. Shamim and her partner Hanan are founders of the Sarif-Kattan Foundation, focusing on empowering and educating women and children across the globe. Hanan works alongside Shamim producing all of the films that Shamim directs. Shamim and Hanan live in London with their two teenage sons. Don't forget to check out the other tour dates below! Have you read Despite The Falling Snow?